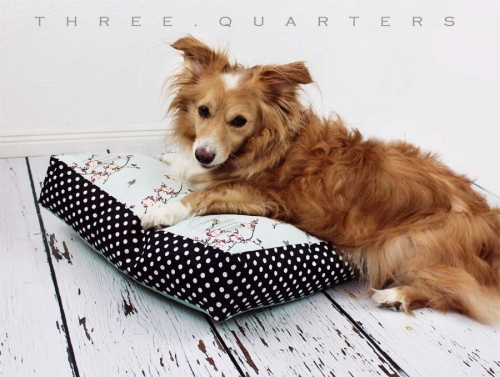 This cozy dog ​​cushion is perfect for your four-legged - for sleeping, cuddling, playing and hiding the treats. 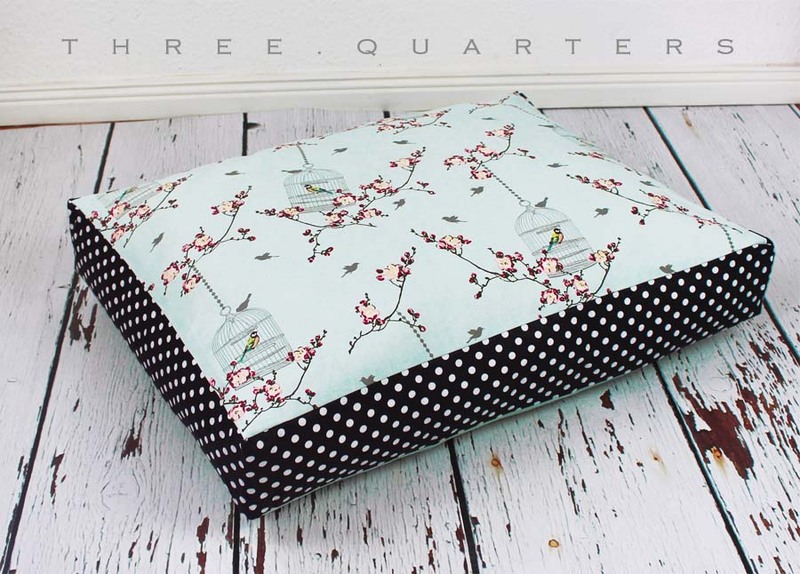 The top is made of a beautiful fabric in mint / mint green, printed with birds, bird cage and tree branches, flowers, cherry blossoms. 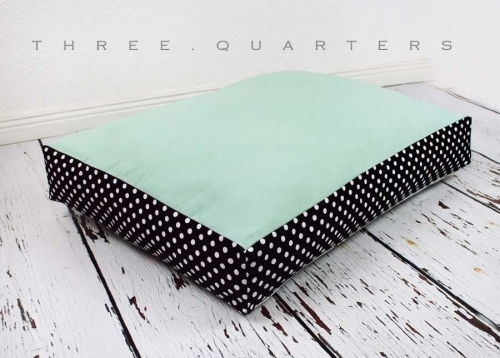 The base is in a darker mint. The pages are available in black with white dots. All materials of cushion can also be combined differently, of course, or if you like would have a different color or or or - ask us.